'Under Pressure' is a series of large scale photographs exploring the various and diverse parts women can play within society. 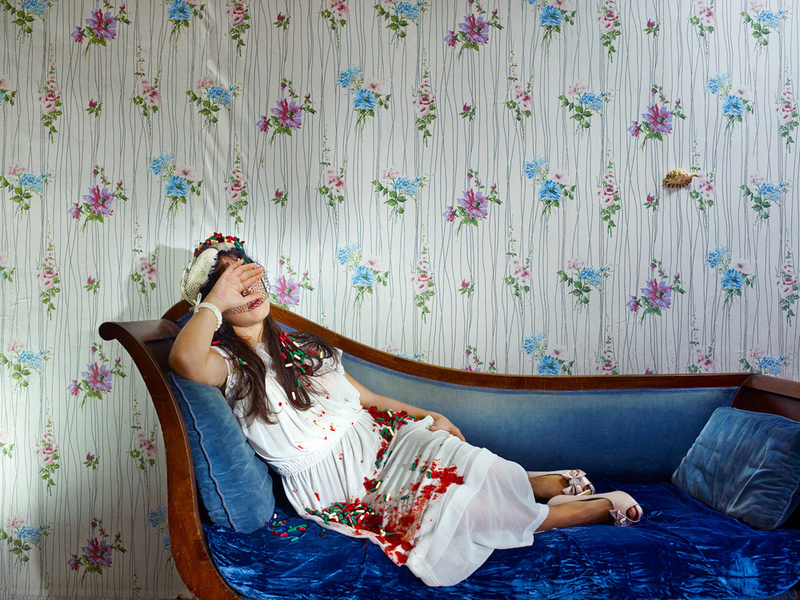 Guia challenges the traditional visual depiction of women by placing her subjects in a contemporary, artistic setting. The women within the photographs are directed to convey a specific theme, such as marriage, motherhood, work and identity. Guia Besana, (b.1972), is an Italian self-taught photographer currently living and working in Paris, France. After completing studies in media and communication in Turin, Italy, she took up photography in 1994 and moved to Paris. Guia’s work gives particular focus to women’s issues, female identity and women's roles within society. She has had her work published on CNN, Huffington Post, International New York Times, Marie Claire, Vanity Fair, Le Monde, Courrier International, D di Repubblica, and Esquire. She has been the recipient of numerous international awards in photography including Los Angeles LADCA, MIFA, Marie Claire International Award, Associated Press Awards and the Professional Women Photographers Awards. She was a finalist in the Julia Margaret Cameron Award and the Leica Oskar Barnack Award, and she won the Amilcare Ponchielli Grin 2012 for her personal project Baby Blues. She has exhibited all over the world.